Have You Seen The Wellington Fountain In Fort Yet? One of the cities oldest fountains, Wellington Fountain, is all spruced up and the city monument is looking great. Wellington Fountain in South Bombay is nearly 152 years old, and was built to honour to the Duke of Wellington, Arthur Wellesley. It is located near Regal Cinema in Fort, South Bombay. Like all things beautiful and precious, needs a little maintenance. 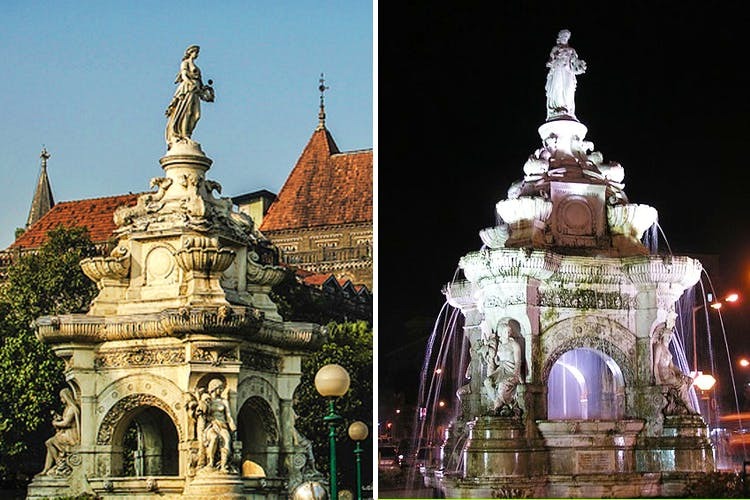 This is why in the past 3 years the restoration project of the fountain began by architect Vikas Dilawari. This included cleaning it, making sure that it doesn’t ruin the original stone and structure, and checking the plumbing, and now the project is complete – making for a lovely sight. The fountain is back in action now, and how. The next time you are around the area, take a moment to enjoy the view and the water.